Shoppers Beware: Facebook Ray-Ban Sunglasses Scam! Ray-Ban sunglasses are some of the most iconic sunglasses in the world. They’ve been worn in some of modern culture’s most important Hollywood movies including Top Gun, Reservoir Dogs, Terminator 2, Risky Business, Taxi Driver with Robert De Niro and Cobra with Sylvester Stallone as well as the more recent films, James Bond’s Casino Royale and the latest Skyfall. The Ray-Ban brand has been around since the 1930s and over the decades, two distinct styles have become classics within the fashion industry; the Ray-Ban Aviator and the Ray-Ban Wayfarer are two of the most copied styles in the history of sunglasses. And whilst many people are happy to buy an affordable style dupe for holidays, festivals and other occasions where you don’t want the risk of losing a pair of designer shades, most do not want to end up with a fake. One of the most recent Ray-Ban sunglasses scams has been brought to our attention and we would like to share the scam with our readers and Select Specs customers to avoid this from happening to you. 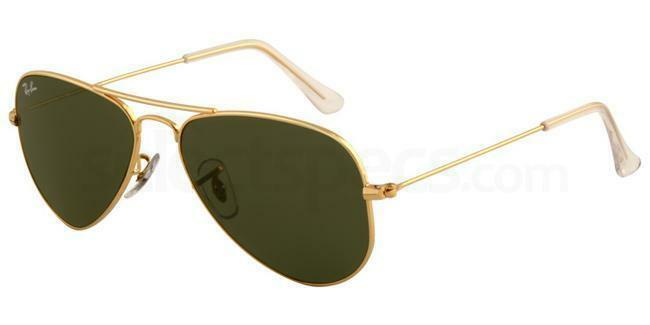 If you are shopping for popular models such as the Ray-Ban Aviator (pictured above) or the Ray-Ban Wayfarer, please be careful when shopping online! One of the most recent Ray-Ban sunglasses scams is now becoming prominent on social media, especially on Facebook. With the Facebook platform now allowing retailers / sellers to fully manage and promote an e-commerce store on their social media page, it’s easier than ever to look legit. Facebook spam adverts are created to lure you in and these stores will be seen selling so-called “authentic Ray-Ban sunglasses” at discount prices. Always beware of such discounted prices because if the retailer is selling them at such a rock bottom price, they are likely to be fake or stolen. These Facebook stores will be in various languages but most of them will use English to target their victims around the world. 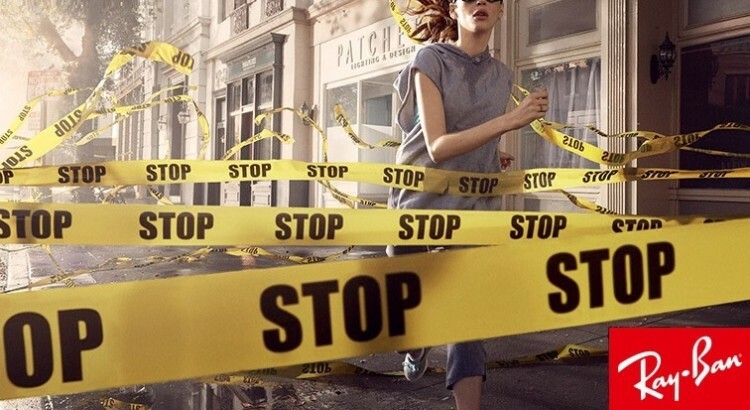 The ads mostly target people in the UK, France, Spain, China, Slovak Republic and the Czech Republic. There are so many of these e-stores on Facebook and they all direct you to a website where Ray-Ban sunglasses are discounted to a whopping 90%. But beware; these scammers have multiple website domains so every discount website you come across needs to be treated with suspicion. The writers over at Welivesecurity.com have discovered that these websites are all registered in China and every website features a very similar layout – so once you’ve spotted one scam, you should be able to spot the others. 1. 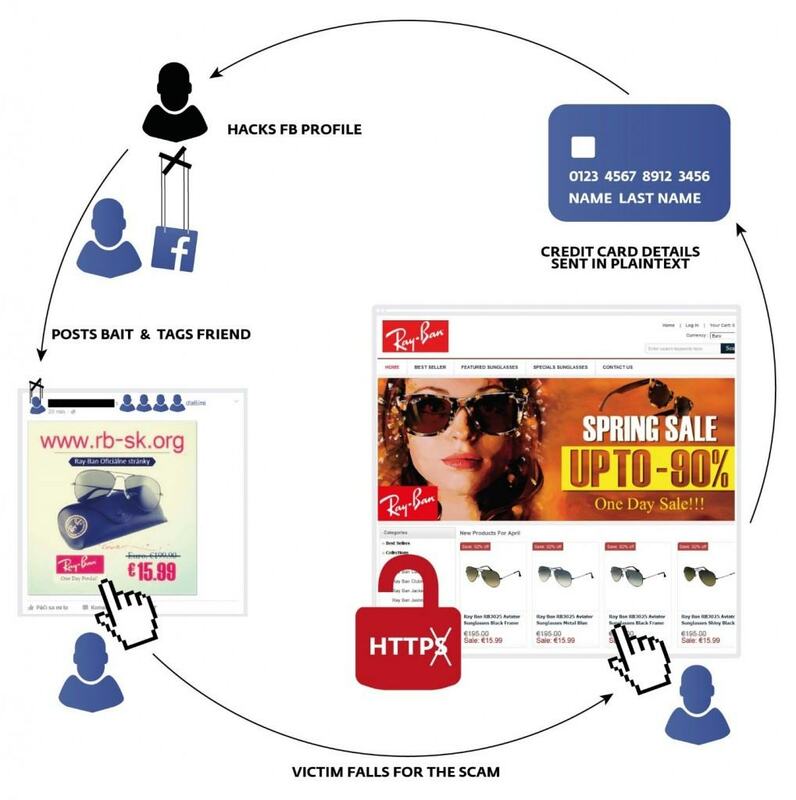 Always buy them from an official Ray-Ban supplier – never make an online transaction with a website you don’t trust. It’s not worth the risk. If you want to be 100% sure that the retailer you are purchasing from can be trusted, look for Trust Pilot reviews on their products, check their social media activity (look for customer interaction), or contact Ray Ban direct to check a retailer’s website is legitimate. If it’s scam, Ray-Ban will let you know! We’ve been supplying authentic Ray-Ban sunglasses for a number of years now and Select Specs are one of the most trusted online retailers around. Shop our Ray-Ban sunglasses range now. 2. Don’t trust discount prices – huge discount prices should be the first alarm bell. If the price seems unbelievable, it’s because it most likely isn’t real. 3. Look closely at the design details – whilst some scammers will steal your money and credit card details online, others will send you a cheap pair of fakes at full price. Never buy Ray-Ban sunglasses without seeing clear photos of the product. The images need to offer a clear view of the design details so you can check it against a real pair you already own or an image from the Ray-Ban website. 4. Don’t buy on social media – although many Facebook shops are legitimate businesses, buying designer goods via social media can be a bit risky. Facebook are unable to regulate their sellers meaning that absolutely anyone could set up an online store. 5. Watch out for poor grammar and spelling – it seems so simple but it really is a huge giveaway when it comes to scam websites. Although big brands have been known to have typos on their websites every so often, most big companies will have dedicated copywriters and web editors to ensure that this doesn’t happen. With many of these scam websites are registered overseas, the chances of poor grammar and spelling is very likely. If there isn’t much text to go on, find a page with a lot of copy (such as the T&Cs page / delivery info page). I bought some discounted Rayban glasses after seeing the ad on Facebook on 10/26/16. I saw that the charge came out of Beijing China.I figured it would be a replicat fit the price I was paying.I order from China on occasion .2 month later and no sunglasses yet.Locks like a scam to me. Don’t ever buy from this website rbsjy.com All products are fake and of low quality. Definitely a scam.